The Gravity Recovery and Interior Laboratory, or GRAIL, mission is a part of NASA's Discovery Program. 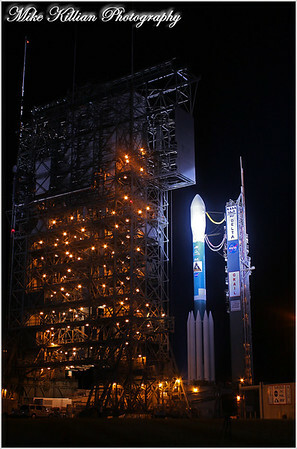 GRAIL launched atop a Delta-II rocket Saturday, Sep. 10 2011. The twin spacecraft flew in tandem orbits around the moon for several months to measure (successfully) its gravity field in unprecedented detail. The mission also answered longstanding questions about Earth's moon and provided scientists a better understanding of how Earth and other rocky planets in the solar system formed. All images © copyright Mike Killian Photography, all rights reserved.